I’ll be receiving the award and grant for this at the 2019 American Library Association Annual Conference in Washington, D.C. in June, and my book will have that incredible little sticker/medal on it from here on out. I’m so blown away by the response to my book, and this was completely unexpected. Thank you for supporting me and my writing all these years. I can’t believe this is happening, BUT IT IS! I’ll have more news soon about some really cool things! Until then: thank you. Today, you can now pre-order the paperback of Anger Is A Gift from your favorite online outlets and bookstores just in time for the holidays. I cannot thank all of you enough for the continued support of me and this book. Please keep an eye on this space for updates about possible bonus features in this edition; you can also find out where I’ll be appearing throughout 2019 in support of Anger on my Tour page. I want to send a special thanks out to all the educators and librarians who have supported my debut. It has been surreal to see how far this book has traveled and how many classrooms it is now in. Y’all are actually TEACHING my book, and it blows my mind. Thank you for helping to make my dream come true. If any educators are interested in bringing Anger or me to their schools, please check out my School Visits page for more information. Lastly: book #2. It’s coming. You’ll learn more about it in the new year, but I’ll say this: It is nothing like my first book, and I cannot wait to tell you all about it. 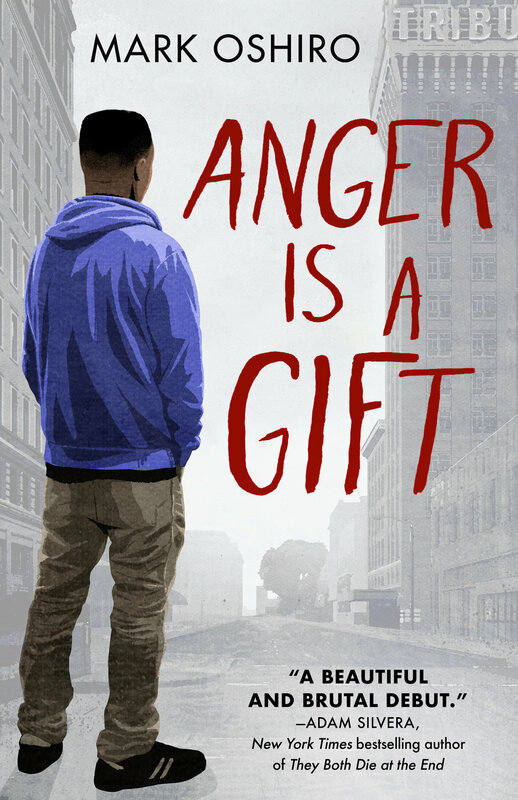 Today, Anger Is A Gift is now available wherever books are sold. I encourage you to find your local independent bookstore to get the book, and IndieBound is a fantastic research to find one near you to either pick up the book and order it through them. The audiobook should also be out, and I am thrilled that I got to record my own audiobook, so you will hear my voice reading the book! I am immediately heading out on tour after my NYC launch at The Strand's Rare Books Room with Tiffany Jackson and Dhonielle Clayton. My first author tour will take me across the US, and this is just the start for the promotion of Anger. I will be at TheBookCon immediately after this trip, and Tor has posted all my appearances at the convention! If you are inclined to help out, reviews on Amazon are very beneficial to new authors, so please submit a review on Amazon. I am eternally thankful to the many people who helped make this happen. My acknowledgments were written nine months ago, so I didn't get a chance to thank everyone. If you played a part in making Anger Is A Gift a reality: thank you. To my friends at Tor and Tor Teen; to my NYC writing crew; to the We Need Diverse Books folks; to the Mark Does Stuff community; to everyone who believed in me and supported me in any way. This is as much your success story as it is mine. Thank you. I am forever grateful, and I cannot wait to give you more stories.